Look To The Stars’ UK Correspondent recently attended a very special charity event in London, and filed this report. I was invited to join ‘Three Kings’ of the modern era in The Prostate Cancer Charity carol concert. TV presenter, Clive Anderson, hosted the service, and Public Relations guru Max Clifford and BBC One’s Eastenders star Rudolph Walker both give holiday readings. The famous faces joined forces at St. Johns, Smith Square, to sing along with a range of renowned acts, including the runners up of BBC One’s ‘Last Choir Standing’ – the Bath Male Choir and acclaimed international group, Metro Voices. 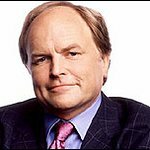 Rudolph was joined by fellow long term supporters of the Charity, Max Clifford and Clive Anderson, who have both campaigned strongly over the years to raise awareness of prostate cancer. Prostate cancer is the most common cancer diagnosed in men in the UK. Every year in the UK 35,000 men are diagnosed with prostate cancer. One man dies every hour of prostate cancer in the UK. 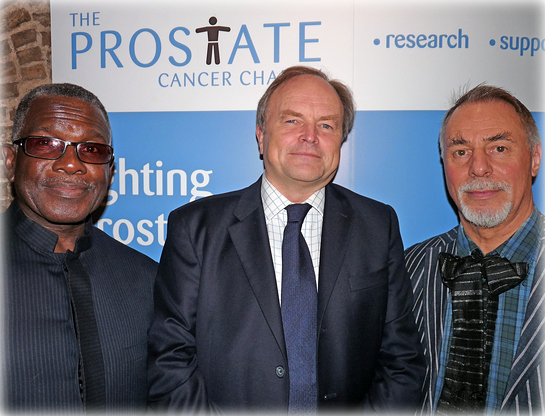 African Caribbean men are three times more likely to develop prostate cancer than white men. If you have any queries about prostate cancer, call The Prostate Cancer Charity’s confidential Helpline 0800 074 8383 which is staffed by specialist nurses and open from 10am to 4pm Monday to Friday and Wednesdays from 7 – 9pm or visit www.prostate-cancer.org.uk.